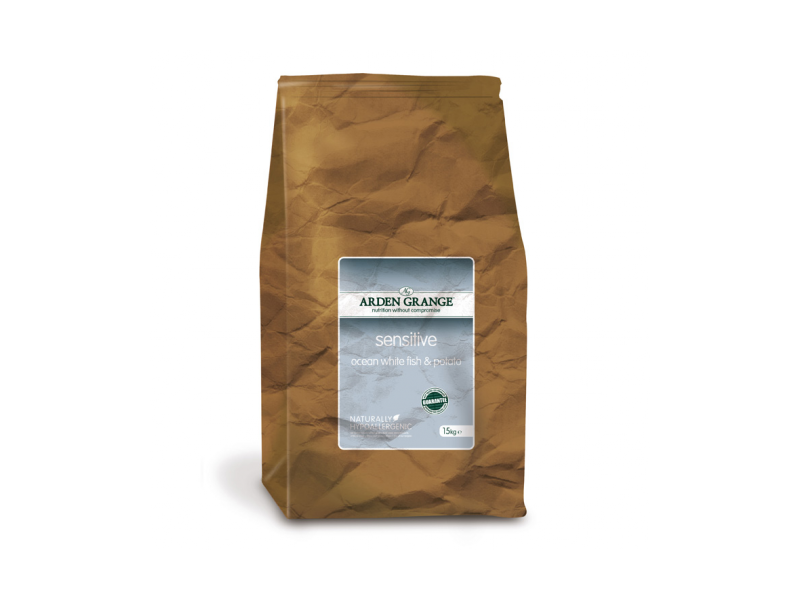 Arden Grange Sensitive is a complete food formulated for adult dogs with delicate digestions and sensitive skin. The protein-rich, easily metabolised ingredients are both palatable and highly digestible, providing all the nutrients needed for sustained health and vitality. Additionally, the diet is hypoallergenic, grain-free and full of natural goodness. Crude Protein 25%, Fat Content 14%, Crude Ash 9%, Crude Fibres 3%, Calcium 2.3%, Phosphorous 1.5%, Omega-3 0.95%, Omega-6 2.79%. There are currently no questions for Arden Grange Sensitive Ocean White Fish & Potato Dog Food - be the first to ask one!